Formerly the Musée de Cluny, Musee De Cluny houses a variety of important medieval artifacts, particularly its tapestry collection. The most famous tapestry of the collection is the 15th-century "La Dame à la Licorne" (The Lady and the Unicorn). Other notable works include early medieval sculptures from the 7th and 8th centuries, as well as gold, ivory, antique furnishings, stained glass, and illuminated manuscripts. You'll also marvel at the building itself, from its colorful stained glass room to the Roman baths and the "Pillar of the Boatmen" carved in the 1st century CE. To visit Musee De Cluny and other attractions in Paris, use our Paris trip itinerary builder website . I am passionate about the Medieval Era and nourished great expectation by the Cluny, but was frustrated by a reform and the very small collection. One of my favorite museums in Paris. If you like medieval history & art, this is definitely the place to visit. You will have the chance to see the «Dame à la Licorne» famous tapestries (The Lady and the Unicorn) but also the museum's impressive roman thermals. The museum has been recently redone and is even more fantastic! I wanted to like this museum more than I did. 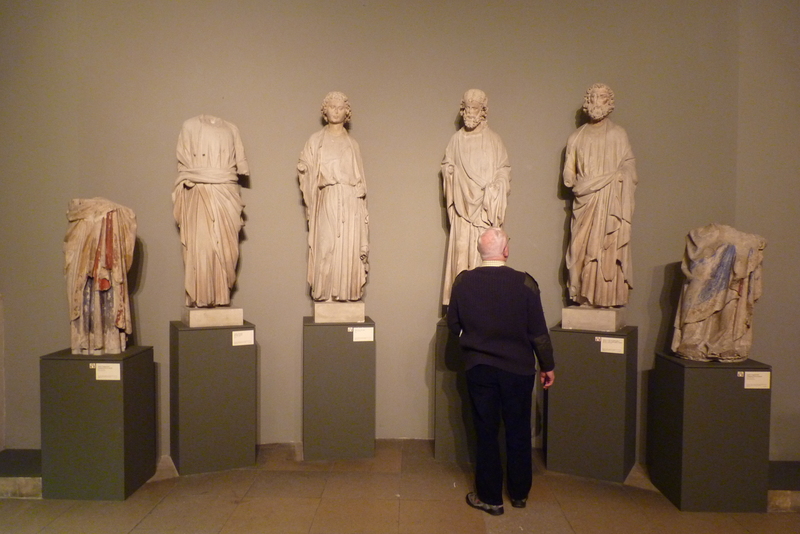 My admission was part of the Paris Museum Pass (which is a great deal!) So I didn't pay their admission directly. I might have regretted if I had. All of that said, what they have is good. I really enjoy medieval tapestries, and their religious collection was interesting. The engraved church stones and statues were well presented. Bring inside of an old building made for some interesting architecture. It just felt small. I like to take my time in museums, reading everything and studying what I can. I was done in under an hour. I've since found some pictures online that make it look like there should have been outside interior space available, presumably the courtyard of the original abbey, along with some Roman baths, but if so, I never came across signs or doorways that indicated that. If I missed them, they need to be marked better. There is some garden space on the outside of the building where you can walk around or sit on a bench, without needing museum admission. Be sure to check that out too. On one hand I hope I just missed things and there's more to see, but if so, that means I missed out!